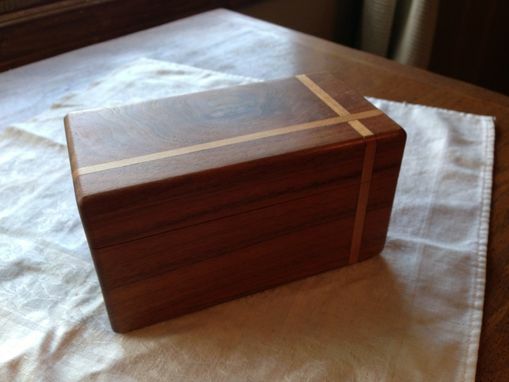 This small Inlaid Jewelry Box is made from walnut and has maple inlay that intersectsw and wraps completely around the box. Instead of hinges, the Inlay Jewelry Box has a pressure-fit lid. I had been searching the internet for a "Wedding Box" and was not having much luck until I came upon The Market Place which connected me to The Plane Edge and Steve Kelly, how lucky was I. Throughout the entire process from the design, through the build, and to the delivery Steve was so easy to work with and the communication was constant and informative. Everything was worry free and the final product is AMAZING. Thank you so much Steve, and I can not await to present my wife with the beautiful wedding box on our wedding day. I would rate this a 10 out of 10 if I could! Mr. Kelly is an incredibly skilled wood worker, and he takes his craft and elevates it to create a work of art. He made me a custom box for displaying photographs, and he really worked to make my vague idea into something amazing. He sent me pictures and kept me up to date every step of the process. 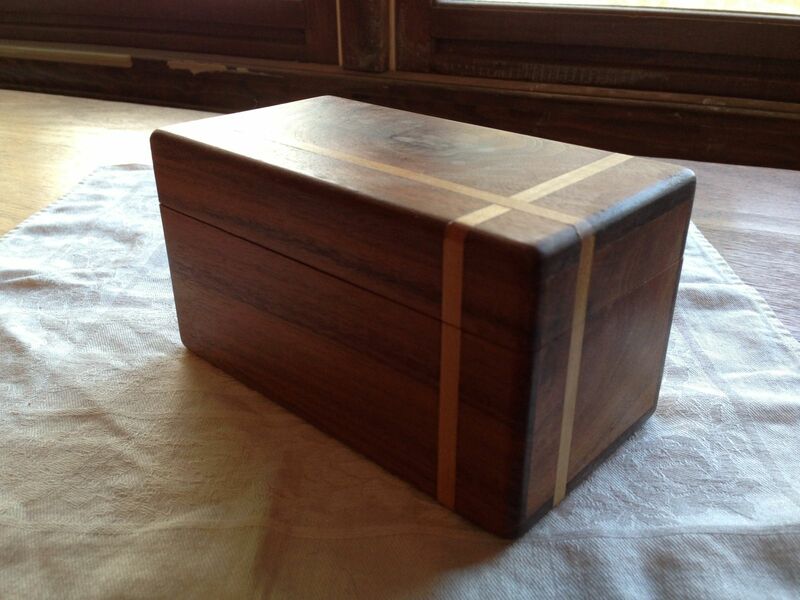 I am proud to bring my photography to galleries and portfolio reviews inside the beautiful box he made for me. He was so helpful and really worked with me to create my vision. What is super cool is that the original box was damaged in the shipping process, and he immediately started another one for me. To me, this is a super honorable thing to do, even before the shippers got back to him on what they were going to do, he created a new one. People like this are not common, and I know that, should I need more custom wood creations, I would go back to The Plane Edge every time.